This 100% natural, freshly pressed health food supplement for vegans and vegetarians comes in an attractive 250ml glass tamper proof bottle with its own integrated pourer. We believe that our product is free from animal products including the label, so is also perfect for vegetarians and vegans. 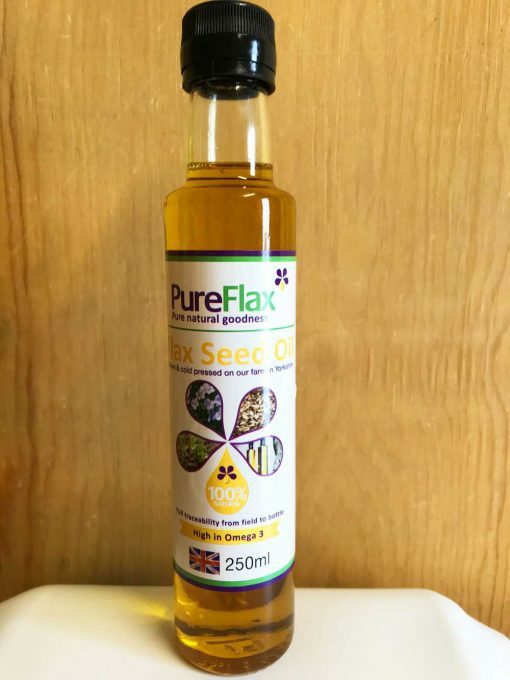 PureFlax flax seed oil states the best before date and month when it was pressed, enabling you to see that it’s extremely freshly pressed. 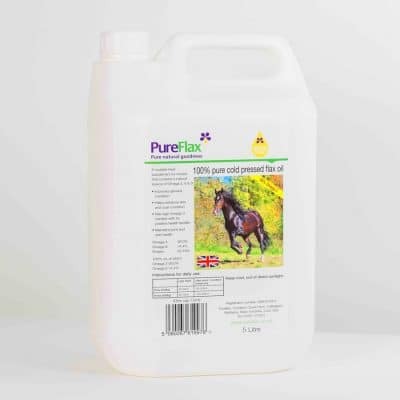 This 100% natural health food supplement for vegans and vegetarians comes in an attractive 250ml glass tamper proof bottle with its own integrated pourer. 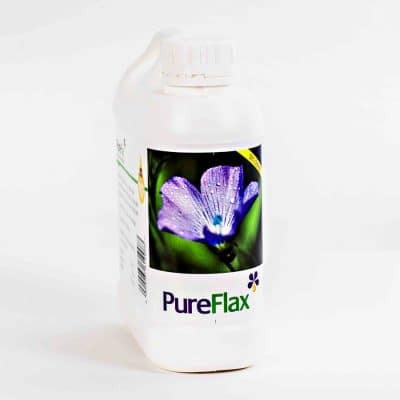 Alpha Linolenic Fatty Acid (ALA) is an essential fatty acid. This essential fat can’t be made in the body naturally so it is essential that we add it to our daily diet. 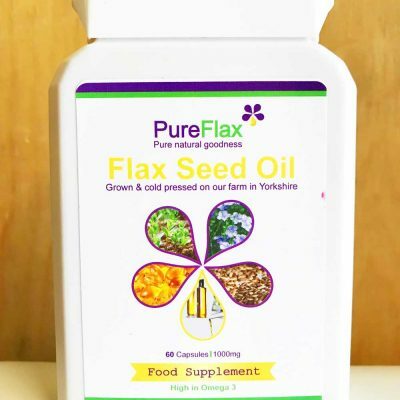 Flax Oil is a great health supplement as it’s high in Omega 3 which is anti-inflammatory, so it can support both the maintenance of skin allergies such as Eczema and Psoriasis, as well as helping maintain normal cholesterol levels and contributing to the health of our joints. The oil has a mild nutty taste and can be added to salad dressings or smoothies. If you’re adding this while you are baking please add it only once the food has cooled down as if the oil gets heated it will destroy some of the Omega 3 goodness.